I always think of May first or at least the first weekend of May as a good time to take a gut check of my teams. Where am I weak, where am I strong. Should I make a trade? But the hardest decision to make is what to do about your starting pitching staff. You drafted 5 or 6 guys you believed in. Now, here on May first you realize that your team ERA is 4.50, and a quick glance shows that your first five starters you drafted are David Price (4.44), Homer Bailey (5.50), Francisco Liriano (4.54), Hiroki Kuroda (5.14), and Bartolo Colon(5.65). If it weren’t for some great spot starts with guys like Jason Vargas and that, late Tim Hudson pick then your ERA could easily be 5.50. Ok, so maybe that is not your style, and instead you picked Madison Bumgarner (3.74), Justin Masterson (4.01), Matt Cain (4.35), Zack Wheeler (5.13), and Clay Bucholz (5.63). Ok, so the other team is in last place for ERA and you are just ahead of him with the daunting task of moving bad pitching ratios north as the season wears on. You probably already dropped Colon and grabbed Aaron Harang or Colin Mchugh, though we all know those are temp moves, and you are not going to drop any of the others. Trade offers are starting to come in from guys trying to buy low on Price, BumG, Bailey and Cain. So, now you have to make some tough decisions. 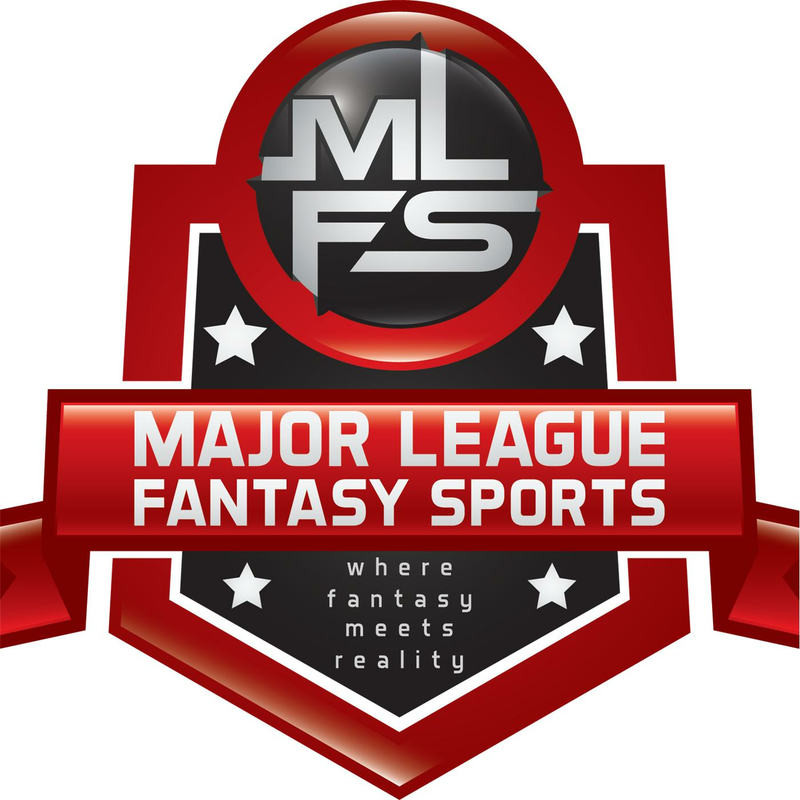 Let’s look at each one of these guys and a couple of others to see if we can better predict who will rebound and who will continue to disappoint and ultimately kill you……slowly…….fantasy baseball style. By now we all know that ERA is not the best predictor of future success, but unfortunately it is still a major scoring category. Maybe there are some other indicators that will help predict what will happen with this lot. I’m going to skip the injured guys. Of course Anibal Sanchez has disappointed as did the slew of Dr. James Andrews TJ invitees, but until they are pitching we have no numbers to look at. 1. David Price, Tampa Bay: No, you’re not happy to see him 3-2, 4.44 early May. In early April my Yankees torched Price for 6 ER and 2 HR in 5 innings. He’s been a Yankee killer for years so this felt good. But, I better not get used to it. Price has 4 Quality Starts(QS) out of his 7 (GS). In the other 3 he gave up 6, 6, and 4 ER, thus the high ERA and 2 losses. But, on closer look he has not walked more than 1 batter in any game and in 2 did not walk any, for a BB/9 of .92. He has a 10.17 K/9 for a Strikeout to Walk (K/BB) ratio of about 11. That is Greg Maddux territory. So, even though his Batting Average Against (BAA) is .271, with the low walk rate his WHIP is only 1.17 which you would be happy with come September. Finally, he is keeping the ball in the park with a 1.41 HR/9 rate which is not great but good enough and his Ground Ball/Fly Ball (GB/FB) ratio is at 1.2. This guy is not getting hammered. I think he’s been unlucky. Get him if you can. 2. Madison Bumgarner, SF Giants: I tried in vain to get him this season, and in my early predictions here I gave him the NL Cy Young award. What is going on with his 1.723 WHIP. That will scuttle your championship hopes pretty quick. Well, he had a .310 BAA and has given up 13 walks and 45 hits in only 33.2 IP, so he is getting hit and seeing a lot of base runners. But, like Price his GB/FB rate is 1.44 and he’s only allowing 1.07 HR/9, so he is not getting torched, but his BB/9 is a whopping 3.48. There have been no velocity whispers, so what is wrong? Our boy is throwing way too many pitches with all the base runners. He has one complete game out in Col, but has not gotten past the 6th in any other, and in two starts he never saw the 5th. I think he’ll calm down, get in a rhythm and be just fine, and some of those grounders will get caught instead of rolling into left or right center. I’m still hoping for that CY. Get him if you can. 3. Homer Bailey, CIN: I invested heavily in Homer this season and I told you why here. He’s gotten progressively better every season, last season being top 20 worthy and he is only 28. What gives? This one is more perplexing, as he is getting torched as are my hopes for a Championship. Like BumG, his K and BB rates are all good, even better than BumG, but he is getting scorched at a .329 clip by hitters, has an unbelievable Base runners/9 (BR/9) rate of 15 and is getting ripped for 2 HR per game. Maybe he has a concussion from watching balls flying all over the place. So, he is not walking guys, there is not a velocity issue, but there are always guys on and they’re getting driven in. The Reds have left him in to get out of his own mess as he has more IP per start then BumG, so that and the launching pad the Reds play in could be a part of it. That leaves luck, and since 2 of his last 3 starts have been better, I have hope. If you own him, keep him, and if someone is sick of him take him, but don’t bet the farm on him like I did. 4. Justin Masterson, CLE: I don’t own him and was not completely convinced by his 2013. Not because I think I’m smart, but because I knew very little about him. I’ve ignored the Cleveland pitching staff for a long time till the kid Salazar came along. But a lot of guys drafted him high. Like Price he has started 7 games with 3 clunkers in which he walked a total of 12 hitters giving up 15 runs and 4 QS, 2, including his last game being 7 inning shut outs. All but his walk rates are good, and as an extreme ground ball pitcher (3.21 GB/FB) he is not giving up the long balls, or the short ones either with a BAA of .256. He’s had a few really bad innings, especially in two early starts where he didn’t get out of the 4th. I think he had a case of off-season rust and wildness judging by the numbers. I’d stick with him, if I owned him that is. 5-9. Some more Giants: Two years ago the Giants looked like a pitching powerhouse, but 5. Matt Cain & 6. Tim Lincecum have both lost some luster, as have another couple of Giants, in stature that is. 7.CC Sabathia and 8. Bartolo Colon, two of baseball’s heavy weights and 9. Francisco Liriano have all had a change of course. I hesitated to include this group as, perhaps, not a lot was expected of them after last season’s troubles nor hard to duplicate career years, so I lumped them all together. I still have faith in Cain. All his ratios look great and he’s not walking guys or giving up homers. His 0-3 record is a bit misleading as he only gave up 1 run in 14 innings. He’s had two clunkers and no run support so it is too early to pull the plug. Sabathia, Lincecum and Colon are all guys who used to be power pitchers but time and wear and tear have given them all much lower velocity. All three have had to re-invent themselves to continue to be effective. We’ve seen it before, and it is not always a bad thing (I feel another Greg Maddux comparison coming, though not in conditioning). I’m hanging tough with CC. He always starts badly, in fact I won’t start him until May most seasons. This year I was able to draft him as a 3rd SP so the investment was not huge, and neither is he anymore. See the before and after pics of CC from this spring training to the right. Lincecum fell even farther and I was drafting him in the 17-19th rounds. CC’s K rates have not suffered and his GB/FB rate is an awesome 2.1 and is K/BB a 5. He’s getting hit but oddly enough by Houston, Toronto and Seattle. He pitched well against the Red Sox twice and Tampa. He is a horse and I think he’ll figure it out. Lincecum on the other hand is far more scary, and I’m already thinking about dropping him. He’s lucky to be 2-1 as hitters are clipping him at a .325 rate and he is allowing 3 walks and 2 HR per 9 IP. His K rates are good but far below the “freak” levels we remember. I think he has a lot of work to do to learn to be a pitcher and I’m not sure I’m waiting to see if he is willing to do it. 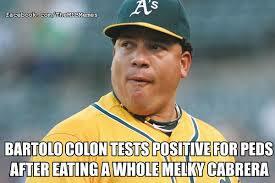 Colon has a .310 BAA, a 1 to 1 GB/FB ratio, which he can’t do even at Citi Field, and lower K rates. He is 40. C’mon, did you really draft him for his 18 wins last season? I’d spot him against weak offenses but if you start him in Cin or Col where he just gave up 7runs, or Anaheim where Pujols and the boys scored 9 on him, then you deserve what you get. Liriano, like CC is always a slow starter. Last season he was a breath of fresh air finally turning his myth into reality. This season it is all about command. He’s giving up untimely walks (17 in 34 IP) and homers (2/9) and getting pulled early having gone a total of 6 innings in his last two games. There is some luck as his DICE,( Defensive Independent Component ERA) is a whole run lower than his current 4.50. No, I cannot possibly explain how DICE is calculated but if it is that much lower than his ERA it shows the ERA should correct down. Unless there is a hidden injury he should be ok.
10.0 Zack Wheeler, NYM: People drafted him with the rest of the kiddie core, Cole, Waka, Miller, Tejeran et al, but Wheeler is not in their class so far and is not even usable right now at 1-3, 5.13, 1.53. With a near .300 BAA and a BB/9 of nearly 4 we can see what is happening, far too many base runners. He has, however kept his HR/9 down and his GB/FB rates up. If not, you can see it could have been a lot worse. His DICE is 3.00 or 2 runs lower than his ERA and he pitches at Citi Field so unless he is hurt, and with the Mets one never knows, he should be ok once he finds his command. This is the kind of guy that gets dropped right about now after giving up 7 runs in COL (where else?) and I might just pick him up and stash him. 11. Clay Buchholz, Boston and 12. Hiroki Kuroda, NY: This is a pair of homer picks as they are far more disappointing to their real life fans then to FBB owners. I’m not totally sure that Kuroda has ever been fantasy relevant, much like Andy Pettitte was better in real life then fantasy, and Bucholz is one frustrating cat to own. Kuroda at 2-3, 5.14, 1.371 got off to a good start giving up only 4 ER and 1 Walk in his first two games combined. But in his last 4 games he is averaging 4 runs and 2 walks in 5 innings, hitting 90 pitches as early as the 4th inning in one of them against those same Angels bash brothers. I know because I watched it. His BAA crept up to .283 but his DICE is 1.5 runs lower than his ERA. This is not a dominant strikeout pitcher. He has to be onto be successful, but he has not been lately. He finished a good 2013 poorly as well and he is now 39 years old, 40 when pitchers report for 2015. Is this a bad 4 game stretch or did he just have 2 good games out of his last 9 or so. Depends on how you look at it, but I worry that he may be heading down the slippery slope. I was originally not going to include Buchholz, but Corey, who is a closet Red Sox fan living in the midwest asked why I didn’t include him. Since I talked Kuroda we’ll talk Buchholz. Here is a miserable set of numbers for you on top of a much, much better set of numbers. The first set is Buchholz after 7 starts in 2014 and the 2nd set is his 16 start abbreviated 2013. Except for the identical K/BB ratio these are two very different pitchers with all the 2013 numbers vastly better. He is not Bob Gibson and the 2013 DICE showed he’d lose about 2 runs on his era, but instead it is 4 runs higher. I think he is somewhere in between. I don’t know of any injuries, but I can tell you that Corey dropped him last week and i grabbed him just in time for his best start of the season. Have patience my friends. Most good pitchers who get off to bad starts right the ship by Memorial Day, except perhaps for the 39 and over crowd. Instead of taking pennies on the dollar for these guys why don’t you look around your league and see if you might be able to get one of them cheap. Maybe you can trade Clay Buchholz to a Sox fan for one of them. Thanks for reading along and next week we’ll look at some pitchers with hot starts and discuss if they are for real. See you then. Good timing. CC got smacked around again today right after this got published. Maybe he better start eating and put the weight back on.